It may be fun to have a good laugh, but not many people know the health benefits of laughter. 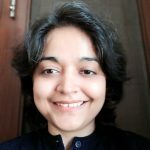 What laughter can do when you are in pain? Laughter is a strong medicine that draws people together in a manner that triggers emotional and physical modifications in the body. Laughter makes the immune system stronger, boosting the mood and diminishing pain. It safeguards you from stress. Seeking out more chances for laughter and humor can improve emotional health, create positive emotions and strengthen relationships. It can even add life to your years and years to your life. Laughter works in more than one ways which is why doctors tout humor as the best medicine. Help yourself to feel better and put the spring back into the step using this method. People can get more laughter in their lives and welcome positive health outcomes, whether it is in terms of a sound mind or a sound body. Researchers are currently exploring how a good sense of humor, an uplifting attitude and the support of family and friends is critical. What happens when we enjoy a good laugh? We change physiologically whenever we have a good laugh. Stretching muscles through the face and the body, the pulse, and BP go up and we breathe at a more rapid rate, transporting oxygen to tissues. People who believe in laughter add that it can even function as an effective workout. Effect of laughter is akin to exercise. Combining laughter and moving can boost the heart health. A pioneer in the field of laughter therapy, William Fry held that it takes 10 minutes on the rowing machine for heart health in the same way as one minute of hearty laughs. Light burns calories too. A research study found the extent of calories burnt while laughing was phenomenal. Around ten to fifteen minutes of laughing burned as much as fifty calories. Consider that a single piece of chocolate is around the same amount of calories, it takes more than laughter to boost weight loss. But a good chortle certainly helps along the way. In the past few decades, scientists have studied the impact of laughter on the body and discovered interesting information on how it impacts humans. University of Maryland researchers studied the effect of being shown a humorous film or a drama on blood vessels. Following the screening, the blood vessels in people who watched a comedy expanded and contracted easily. But blood vessels in people who watched a drama was restricted. Immune response has also been found to be influenced by laughter. More stress is associated with less immune system response. Research has also shown that white blood cells and anti-infections antibodies also emerge due to use of humor in everyday situations. 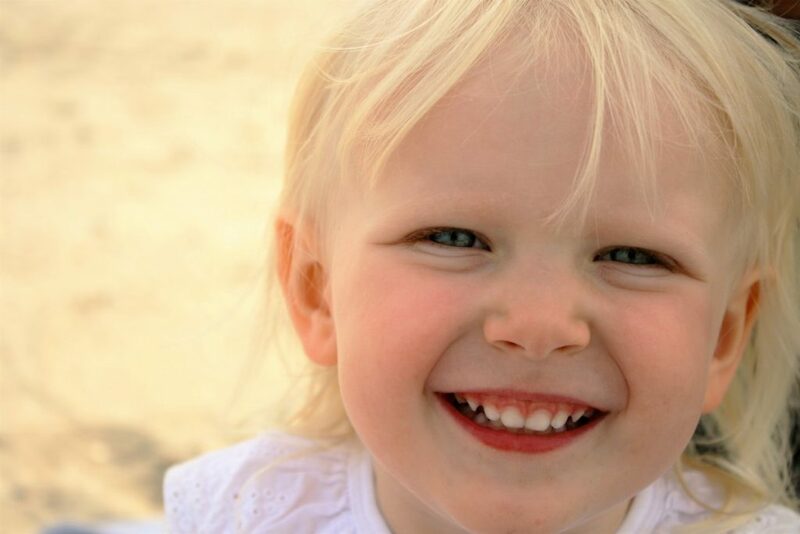 A study of people with diabetes found the positive effects of laughter on blood sugar levels. Groups of subjects who watched a comedy as against a boring lecture were found to have lower blood glucose levels. Benefits of laughter on sleep regulation have been studied. Of course, the Anatomy of An Illness, by Normal Cousin also points to how sleep quality improves and pain-free sleep is possible using comedy. The most convincing health benefit from laughter is dulling pain. Lots of studies have found pain and discomfort have been combatted when a person laughs. Laughter is social in nature, and being in a fun-filled moment with family and friends has its benefits. Research has also found that we are 30 times more likely to laugh with others than alone. Additionally, deliberate laughter can be distinguished from genuine laughter due to stimulation in the anterior medial prefrontal cortex. The sound of laughter triggers the premotor cortical region of the brain. This involves corresponding with facial muscles. Laughter raises the expenditure of energy and heart health by 10-20%. This means around 10 to 40 calories can be applied by laughing for ten to fifteen minutes. Research shows that those who use laughter to communicate report higher satisfaction in the way they relate to each other. They also remain deeply connected to others. Researchers also found the role laughter can have on health, specifically cognitive functions like memory. Adults were broken into two groups– one which watched a comedy show while the other remained silent. Both before and after the session, the memory of the subjects was tested. The group that watched the comedy show had lesser stress hormone cortisol. Laughter helps to counteract age-related memory declines in older individuals. Humor and laughter suggest that clinical benefits may accrue. 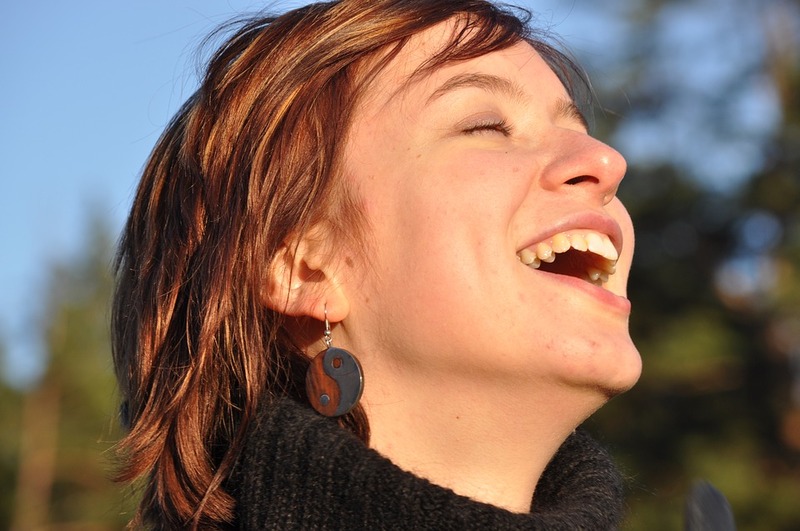 Learning ability and delays in recall are also impacted by laughter therapy. Triggering the introduction of endorphins, laughter creates feel-good emotions that relax your muscle, enhance memory and creativity, improve digestion and oxygen intake and improving health outcomes. Laughter is a powerful cure for conflict, pain, and stress. Humor eases the burden, connects people with others and helps people to stay alert and focused. It relaxes the whole body when you engage in a good laugh. Relieve stress and physical tension leaving behind the blues, by laughing away. Additionally, the feel-good endorphins can relieve the sense of tension and relieve pain. Laughter improves blood vessel functioning and increasing the blood flow circulation which can protect against cardiovascular problems such as a heart attack. It diffuses stress and tension and enables a person to move on without anger or frustration. Laughter can help a person to live longer. A Norway study found people with a strong humor sense laugh more and live longer. This was noted for those who battle cancer. Consider the mental and physical health benefits of laughter from decreasing pain to prevent heart disease and lower stress hormones while boosting immunity. Mental health benefits of laughter include adding joy and zest in life, easing tension and anxiety, improving the mood. It also defuses conflict and promotes deeper bonding. Laughter makes a person feel good and remains with them even after the pain comes in. Be positive and optimistic through loss, disappointments and tough situations by laughing through your pain. Laughter goes the strength and courage to find new hope and meaning. The link between mental health and laughter is well established. Laughter prevents distressing emotions. It relaxes and helps you to recharge and increase energy and reduce stress. Laughter allows the shifting of perspectives and creates massive distance, where narrow-mindedness may be a problem. Laughter draws others closer together and brings on emotional and mental health. Manage conflict and tension when emotions are running high. Use humor to smooth over problems and lower stress levels. Constantly facing pain and trying to handle it physically or mentally can be stressful and tough. But with a little help from laughter, and seeing the brighter, more positive side of life is important. Laughter is a positive medicine and helps to cope with chronic illness, lowering pain. Combat pain levels and release endorphins to cope with mental and physical pain. Humor creates the space we need to grow more positive attitudes and see the joy, blessing, and humor in everyday happenings. The longer you have to face chronic pain and illness. laughter offers a lot of benefits and shortens suffering. 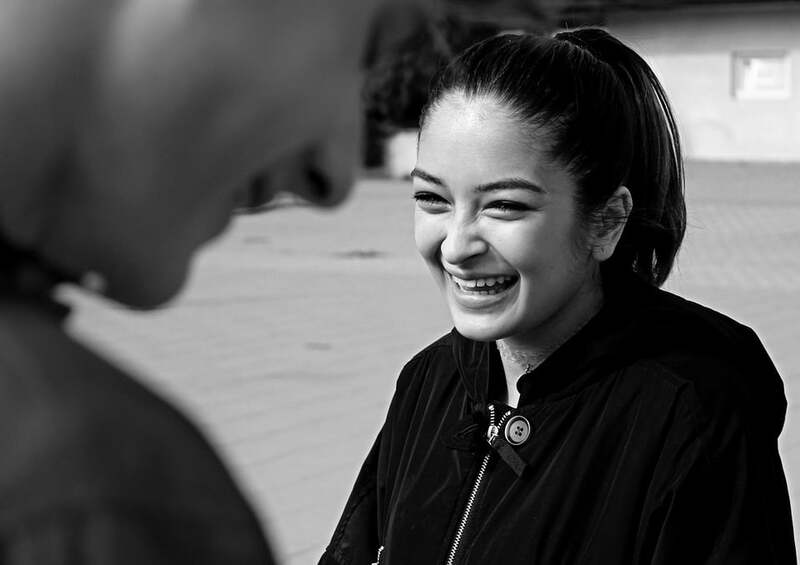 Laughter proves to have a strong impact on physical and mental health and wellbeing. It helps to relax the body, reduce the stress and gain compassion and an open heart. Laughter reduces depression and provides the perfect distraction, it triggers deep-seated healing. Laughter has therapeutic value for the mind, body, and soul. Laughter inspires connections with others, benefiting the body, liberating the spirit and creating strong power for healing and renewal. 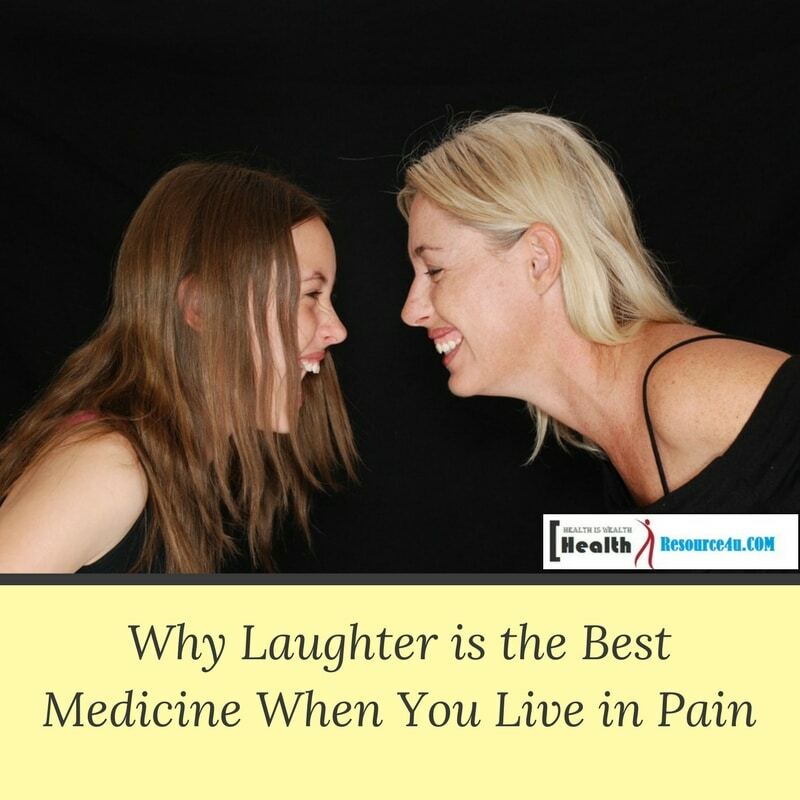 If you are suffering from pain due to chronic illness, laughter is undoubtedly the best cure. An essential characteristic of people who laugh more is to not take it seriously when it comes to pain and tension. Chronic illness can bring so many issues with it, and there is a need to not take it negatively if you want to survive. The ability to smile, laugh and enjoy the lighter side of life is one of the best ways to build resilience and capability to cope. Living with severe pain and chronic conditions can be easier, especially while averting a relapse. Additionally, laughter creates a respite from the pain and suffering. It also encourages the brain to come up with an optimistic outlook. Laughter creates new meaning and hope to achieve positive and productive outcomes. Studies have documented the ability to relieve pain using laughter. Watching comedy films, for example, helps kids and adults cope with pain more easily. A 2011 Oxford University study found that people could withstand 10% more pain when watching videos that show comical scenes. Laughter increases the pain threshold. and boosts pain tolerance. Spontaneous laughter can work wonders when it comes to coping with the pain. Laughing hard exercises the organs and muscles. It also boosts oxygen and improves the heart health. It also impacts blood circulation, metabolism, digestion, eliminating toxic substances and improving the functioning of the body. Laughter burns calories too. If you are struggling to sleep or depressed on account of pain, laughter can work its magic here too.Laughter reduces stress and anxiety, promoting deep sleep in those with problems and difficulties. Laughter provides a good workout energizing the person in the short term and promoting deep, long, restful sleep in the night. A little laughter can go the distance when it comes to facing the pain. Endorphins like serotonin are greater in those who laugh. Laughter is also the perfect way to distract yourself. Humor eases the troubles and increases the capability to cope. When depressed, stressed out or anxious, your body is facing hormonal imbalances like lack of serotonin and too much cortisol. Laughter can regulate and restore hormonal balance. From easing the pain to improving the health of all our organs and inducing positive mental states, humor is the best medicine for a lot of ailments, conditions, and problems. Laughter is the best way to cure stress and tension, cut down on deep-seated anxiety and worries and even combat physical or mental pain. So now you know what laughing can do for you. Go ahead and chuckle your way to good health!